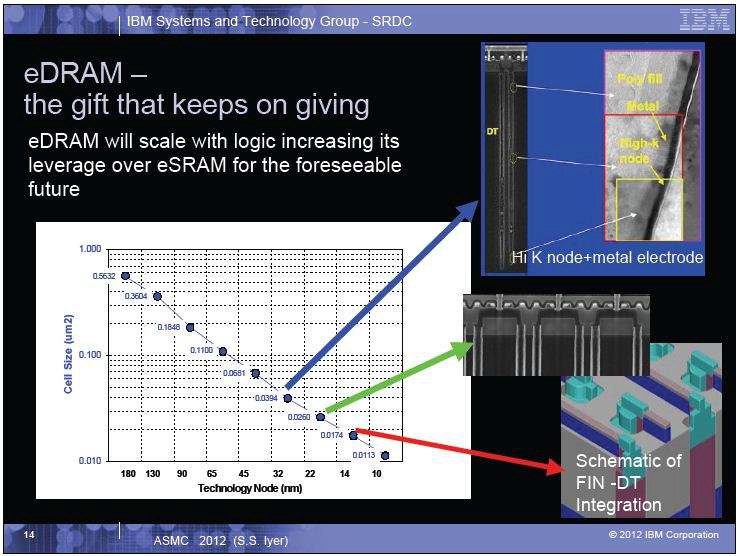 Monday afternoon at the 2012 IEEE International Electron Devices Meeting, IBM discussed their 22nm SOI high-performance technology , aimed at servers and high-end SoC products. 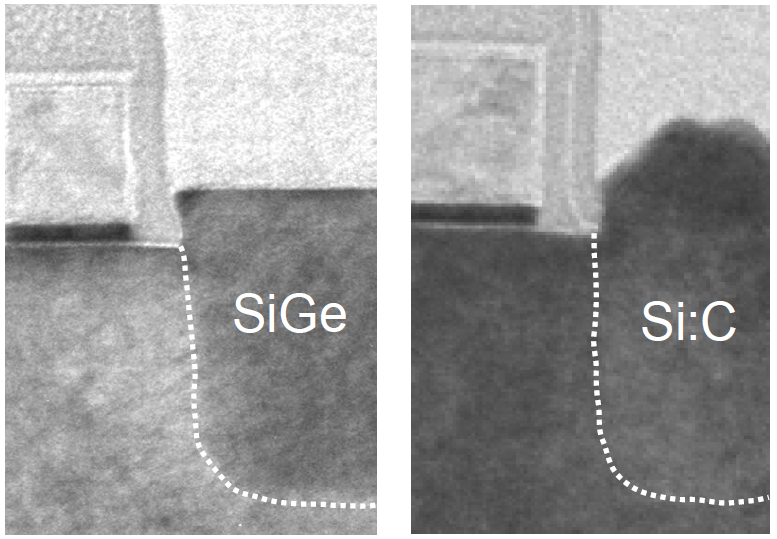 To an extent, this is an extension of the 32nm process, using epitaxial SiGe for the PMOS channels and stress, and dual-stress liners for both NMOS and PMOS strain. However, there were a couple of surprises buried in there — at least for me! The first surprise was that this is a gate-first process, contrary to the announcements made by the Common Platform group that the 20nm class processes would be gate-last. The difference seems to be that this technology IS aimed at high performance servers and their support devices, not consumer products, and this is IBM’s process for its high-end products, so they are sticking with the proven formula and pushing it to the next level. 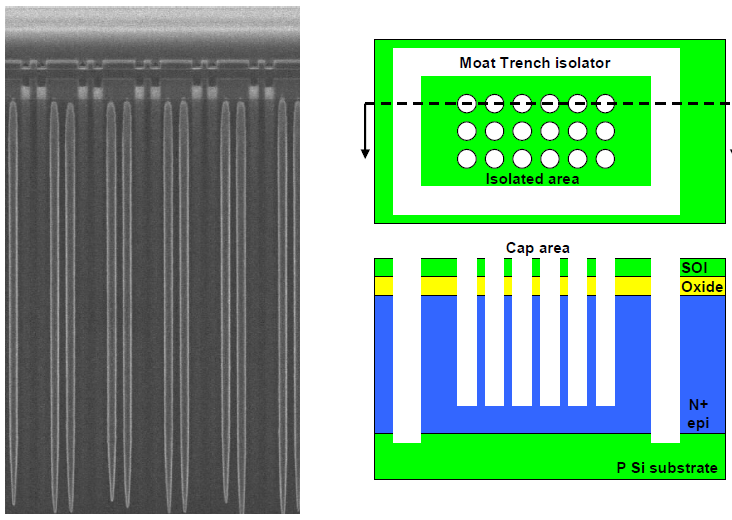 The gate dielectric stack has been scaled to reduce the inversion thickness (tinv) by 7%/10% (NMOS/PMOS), without affecting mobility, modifying the clean, depositions (using ALD for the interfacial oxide), and anneal steps to achieve the lowest tinv published so far, and reducing DIBL by 6%/8%. The second surprise was that e-Si:C (embedded carbon-doped source/drains) has been used for NMOS stress — IBM claimed that this is the first time in a production process. I had just about written e-Si:C off as a viable manufacturing technique, since I’ve been hearing over the last few years that the carbon is not stable and does not stay in the substitutional crystalline sites where it’s needed. However, here we are told that it is stable and that it survives all the backend processing, even with the 15 layers of metal used in this technology. The e-Si:C incorporates ~1.5% C, which combined with fourth-generation e-SiGe with more Ge and the dual-nitride stress liners, gives 25% more strain than the 32nm process. The gate-first approach allows conventional contacts and self-aligned silicide, and judging by Fig. 3, raised source/drains help to reduce S/D resistance and keep the gate/contact capacitance under control. The embedded trench DRAM is not a surprise, IBM has a long history in the field and they have now brought it to the point where access time is shorter than SRAM [2, 3, 4]. The big change here is that the substrate wafer has an N+ epi layer on it to replace the diffused cell plate of earlier generations. This allows denser packing, since a formerly-needed diffused spacer is removed, giving a cell size of 0.026 Î¼m2. It also enables deeper trenches, giving higher cell capacitance for an areal capacitance of 280 fF/ Î¼m2. The trench capacitors are also used as decoupling capacitors, and these are isolated by deep trench isolation so that they can be biased independently. The complexity of IBM’s server chips is reflected in the 15 levels of metal. The first level is doubled-masked with a litho-litho-etch sequence to allow for orthogonal layout; the rest are single-patterned using uni-directional layout. Self-aligned vias help with packing, and both ultralow-k and low-k dielectrics are used as needed. IBM is prototyping 22nm server parts right now, but even when they get into the servers for sale, I likely won’t get my hands on one — a bit beyond my procurement budget!